A Message From the E.O. Hopefully, the news had reached you that “Dad” Tom Labagh, who has been serving as Executive Officer for 17 years, decided to step down, and chose me as his replacement. I thank “Dad” Labagh for his many years of leadership, and hope he continues to serve DeMolay in a different capacity! The main reason that I agreed to accept this position was because of how much DeMolay meant to me as a young man. When I joined Elizabethtown Chapter, I was a shy 13-year old, who had a fear of public speaking. Because of Advisors like “Dad” Berry, “Dad” Freedman, and “Dad” Ray, I learned how to overcome that. I went to college in Ohio, so I never had the opportunity to serve as a State Officer, but even so, the DeMolay experience was incredible. Since I turned 21, I’ve done everything in my power to make sure DeMolay continues to grow and thrive. When I graduated from college, I took a job with IBM as a software engineer, which required me to move to upstate New York. For 12 years, I worked with Orange-Rockland Central Chapter, as their Ritual Advisor, then later Chapter Advisor, then later Chairman. Hands down, my most satisfying work has been those years working at the Chapter level, because I got to mentor DeMolays for a long period of time, seeing them mature and improve just as I did! 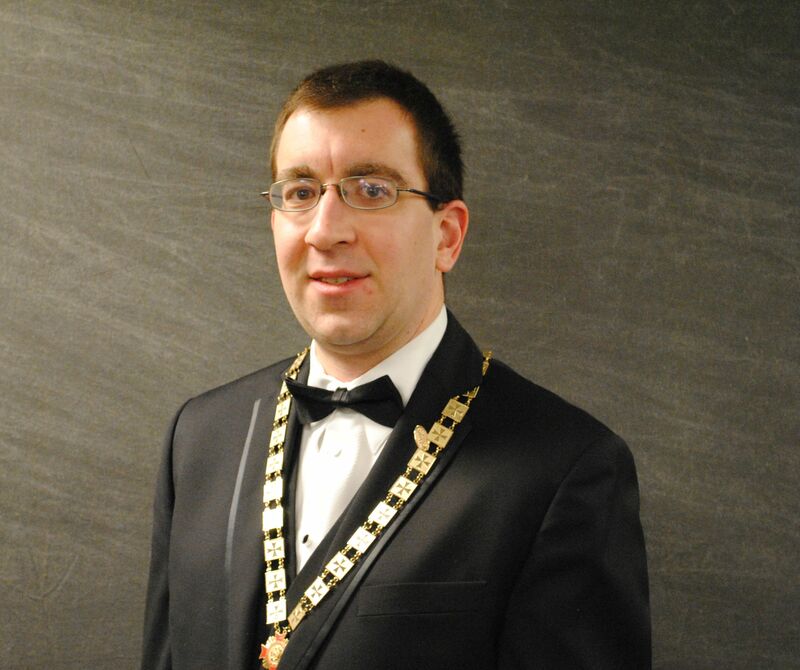 I’ve always tried to remain active with Pennsylvania DeMolay, and that includes an active streak of 19 years being on the Key Man staff, and helping out as an Advisor with Elizabethtown Chapter as best I could. I’m very thankful to be taking on this role with a strong support system in place. Pennsylvania DeMolay has an incredible set of dedicated Advisors, and unparalleled Masonic support. We are already one of the strongest Jurisdictions! My vision as Executive Officer is to change some policies, and rework the state-level staff organization, to ensure that every Chapter gets the help it needs, and that we provide the best possible support to the DeMolays and Advisors. Over the next couple of blog posts, I’ll be announcing those staff changes, and I strongly encourage you to attend Convention, where I will announce my policy changes. For the Advisors, there will be a Q&A session with me at Convention after those changes are announced, so I can hear your feedback. Each one of us — whether a DeMolay or an Advisor — is a volunteer, working towards a common goal: to help Pennsylvania DeMolay grow, and to make sure it is around for the next generation of young men! I hope to do exactly that, with your help. Thanks for everything you have done, and will continue to do, in that spirit!